You’d have to be CRAZY to think you could live up to your dear old dad! Our Captain Marvel bonanza continues! Legacy’s all grown up now and he’s the new Captain! After his dad came to Earth and died, he came to Earth himself. But what happened next? Did he do his dad’s legacy proud? Spoilers, not exactly… Legacyvember continues HERE! On this episode, we talk about the first arc of Peter David’s second run on the fifth volume of Captain Marvel. You know, the one that stars the fourth Marv? Or was it fifth? Maybe third? I can’t keep track anymore. Phil finally learns to appreciate quips. Darryl really wants God to just randomly mess everyone up. Ryan finds out how Darryl really feels about him. And Sly has the father of all Freudian Slips. After doing our regularly scheduled Holiday and New Year’s Episodes, we’ll be back in January to pick up where we left off with Captain Marvel! Is it FINALLY time to learn more about Carol Danvers? If they’re making a movie, she must be the most accessible and streamlined version of Captain Marvel? Well… tune in next year to find out! Captain Marvel’s Legacy continues when his successors take up the mantle! We take a journey through the 70s, 80s and 90s. And boy, are these issues indicative of the flaws of those decades. On this episode, we cover some more people trying to take live up to Captain Marvel! Carol Danvers, Monica Rambeau, and Gennis-Vell! Sly defends sexism and Spider-Man. Ryan defends 90s writers. Phil defends X-Treme characters. Darryl offends us all. We’re going to spend the next month tackling one of the most convoluted and messy names in comics! Not Shazam, not Marvelman, but the one (of seven), the ONLY (of seven), CAPTAIN MARVEL! This episode focuses on the Kree warrior, Captain Mar-Vell! What a very different and original name! From his first appearance, through the little boy big boy revamp, all the way to the obviously named Death Of Captain Marvel! On this episode, Sly attempts to summarize the history of the name Captain Marvel, both in universe and in lawsuits. Phil gets real personal when it comes to his own INEVITABLE death. Darryl strikes some bizarre and wide eyed poses. And Ryan’s got a bit of a cold, so he’s bringing his nasaliest A-game for you. We’re back for part 2 of Uzumaki. And so are the snail people! Unfortunately for us and also for them. In this episode, Ryan is just seeing spirals everywhere. Sly reveals his pro-killing kids platform but at least he won’t eat your face like Phil. And we finally learn about Darryl’s favorite fetish. Issue 77: Uzumaki Part 1: Look Out, She’s a Spiral! Posted on October 3, 2018 | by Sly | 1 Comment on Issue 77: Uzumaki Part 1: Look Out, She’s a Spiral! 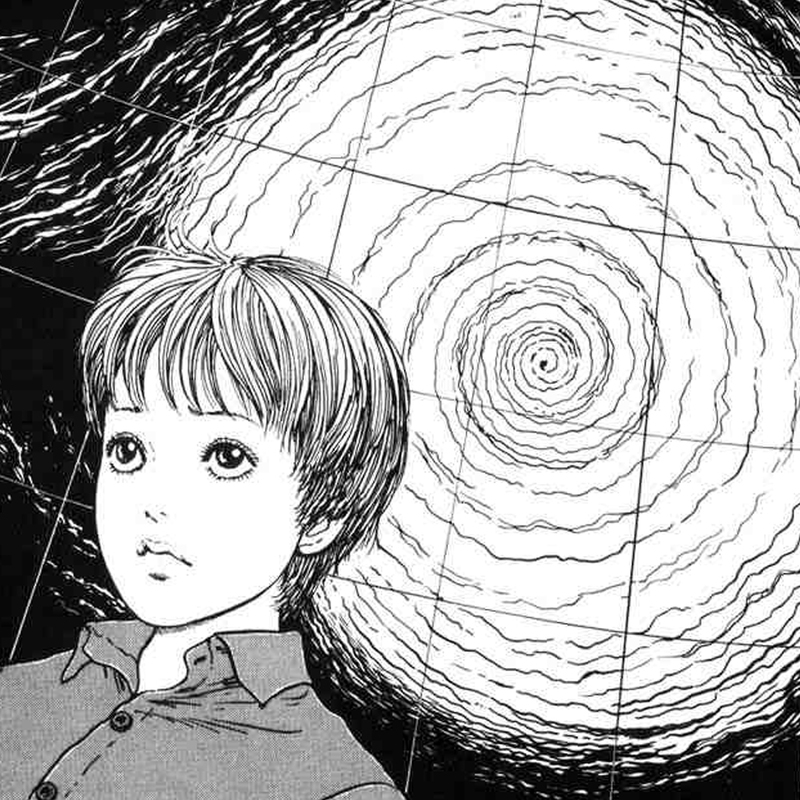 For this October, we return back to horror mangaka Junji Ito. 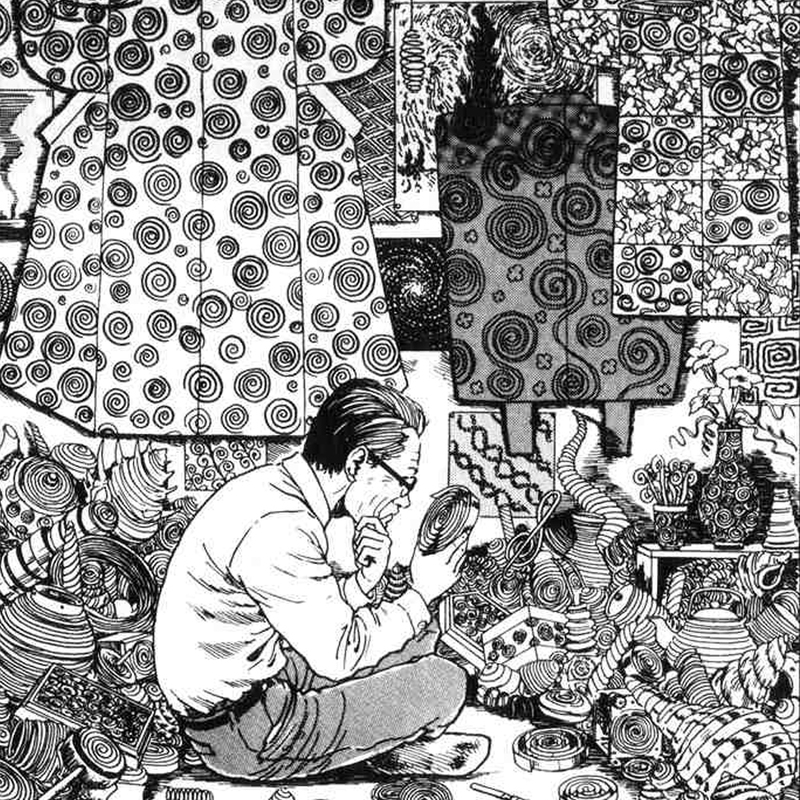 For the entire month, we’ll be reading his most celebrated work, Uzumaki. A story about how surprisingly creepy spirals can be. In this episode, Sly is getting a lot of material for his Uzumaki shonen fan fiction. Ryan changes October to Itober while Phil really just wants to leave town. And Darryl just can’t stop thinking about Kiari from Kingdom Hearts. Issue 76: Identity Crisis Part 2 – The Murderer Was… A Plot Hole! Posted on September 19, 2018 | by Ryan | Leave a Comment on Issue 76: Identity Crisis Part 2 – The Murderer Was… A Plot Hole! “What if the Elongated Man stretched his way into grittiness? We finish DC’s mega-event that changed everything, Identity Crisis! Is the ending satisfying? Does it make sense? And why does everyone hate Captain Boomerang? Check out our last episode, Identity Crisis Part 1, first if you haven’t! In this episode, Ryan struggles to defend why cynicism can be good when it’s in a story he kinda likes. Sly thinks all superheroes look the same. Darryl discovers the most relatable villain. And Phil just can’t help but nitpick plot holes just because they don’t make any sense and hurt the narrative. What a stickler! On this episode, we dip into the first half of Identity Crisis. We’ll finish it next time, don’t worry! Ryan’s a giant hypocrite who likes this book (but WITH ASTERISKS, HE SWEARS). Darryl finally found a superhero story that he doesn’t think is dumb (most of the time). Phil just loves big anime fights. Sly packs this episode with more lore than ever. Only a true gentleman could ever hope to be a real lord of edge! Hoo boy, this one’s a rough one. We’re talking about the Original Edgelord of Comics, Alan Moore and his second volume of The League Of Extraordinary Gentleman. This one gets a little intense, so strap yourself in. The Invisible Man, Mr. Hyde, Mina Harker, and Captain Nemo, Allan Quatermain, and some wagon driver all team up to fight aliens! What more could you want? On this episode, we’re talking Alan Moore, because this book? It ain’t quite Swamp Thing. Ryan has some real issues with this snake god worshiping writer. Sly finally learns the secret way in to the Vermilion City Pokemon gym. Phil’s secret hatred of a beloved book series is exposed. And Darryl rushes to the defense of the neglected monsters of the world. As always, Edgelord August touches upon some serious themes, like severe violence, and violence against women. But this time, ESPECIALLY. It’s the most wonderful time of the year! EDGELORD AUGUST! It’s time to talk about Mark Millar’s Kingsman. So cuckle up, it’s time to go for a ride. On this episode, we get back to our roots and talk about a Millar book with a better movie adaptation. Sly’s just a wanker running from the billies. Ryan once again falls victim to fake news and revisionist history. Phil min-maxes his build to get all the ladies. Has Darryl finally replaced Nemesis as his favorite Millar book? As always, Edgelord August touches upon some serious themes, like severe violence, and violence against women. We’ve mentioned it a bunch of times, but we have a patreon! Here’s an exclusive clip from this month’s Patreon bonus episode to entice you into giving us money. So? Are you enticed?!? ARE YOU NOT ENTERTAINED?